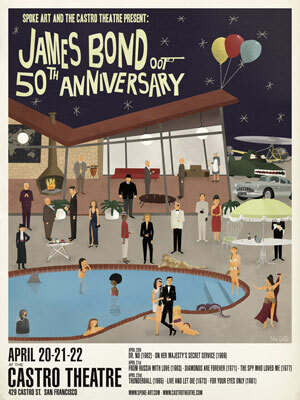 I suspect there will be a few posters at the official James Bond 50th anniversary exhibition, but probably not as good as these James Bond 50th anniversary posters by Max Dalton. 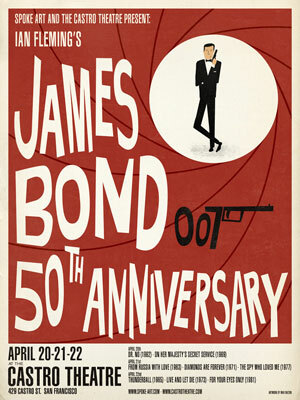 The prints were created for a screening of eight of the Bond films in San Francisco, but the posters themselves have gone on sale online – and for a reasonable price too (for limited editions). 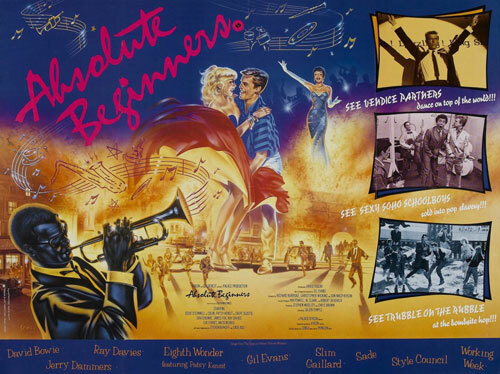 Two designs available, one showing the famous title sequence and the other showing a Bond poolside party, attended by plenty of characters from the films (you can pick ’em out below). Each giclee print is limited to an edition of 250, all hand numbered and sized at 18 x 24 inches. Buy them individually for $50 each, or as a set for $80.